We are pleased to announce that My Cosmetic Clinic and Dr. Ansari have been featured in a special edition of the Sydney Morning Herald. Recently, the Sydney Morning Herald interviewed Dr Ansari for a special feature on the topic of Cosmetic Surgery. 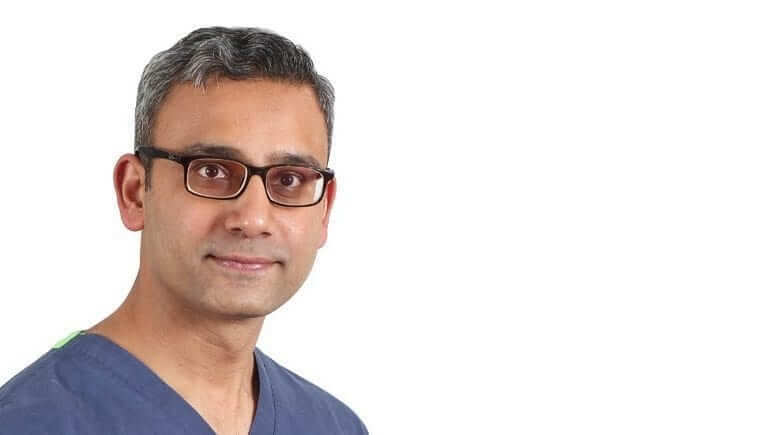 In the article (published last Friday December 2nd) Dr Ansari discusses the common misconceptions that many patients face when considering fat reduction surgery, and why men should also consider body contouring. In case you missed the article, please click on the link below to read. Cosmetic surgery can help sculpt a better body shape, but for the best results you also need a good diet and exercise habits. Cosmetic treatment works best for patients who change habits and diet, and exercise regularly. It happens to many of us: we hit an age or stage where we can no longer take our good looks for granted. We feel young on the inside, but the mirror tells a somewhat different story. Perhaps we’ve let our diet and exercise regimen slip, and spent too many hours in front of the television. Sometimes nature may need a helping hand to turn back the effects of time, lifestyle and gravity. Advances in cosmetic surgery make that possible-and an increasing number of people use it to help achieve the face and bodyshape they want. There’s alot on offer-from non-surgical procedures such as anti-wrinkle injections and dermal fillers to face-lifts, breast enhancements and other surgery to help achieve the silhouette we’d like. Many people hanker for a flatter, slimmer body profile. Liposuction surgery shifts stubborn body fat that has proved resistant to diet and exercise. Done well, it can give the body aesthetically pleasing contours. The most frequently targeted areas are the abdomen, hips,thighs and knees. Liposuction is often done in conjunction with abdominoplasty – “tummy tuck” surgery to remove excess loose skin that’s often resulted from sudden weight loss or the end of a pregnancy. exercise habits. My Cosmetic Clinic offers abdominoplasty, liposuction and other surgical and non-surgical cosmetic procedures. It has centres across Sydney as well as in Newcastle, Wollongong and Erina on the Central Coast. Dr Masood Ansari, cosmetic surgeon and founder of My Cosmetic Clinic, says liposuction and abdominoplasty have a good track record. He says his clinics’ liposuction treatment is a‘‘walk-in, walk-out’’ procedure that’s relatively pain-free. Abdominoplasty takes an average of two-to three hours, depending on the amount of excess skin and whether the muscles need to be tightened. ‘‘However, it is a misconception to think that surgery takes the place of lifestyle changes, good diet and regular exercise, ’’he says. ‘‘Surgery is not a substitute for exercise and diet. Surgery is not a ‘set and forget’ solution. Dr Ansari trained in Britain, where he became a member of the Royal College of Surgeons of Edinburgh. In Australia he undertook further training and has a Fellowship in Cosmetic Surgery from the Australasian College of Cosmetic Surgery. He takes a ‘‘holistic approach’’ to cosmetic beauty, using a combination of techniques to help patients achieve the look they want. It’s not only women who crave a different look. My Cosmetic Clinic says men often seek liposuction to reduce ‘‘lovehandles’’ and‘‘manboobs’’, and to treat excess fat in areas such as the neck, back and abdomen.